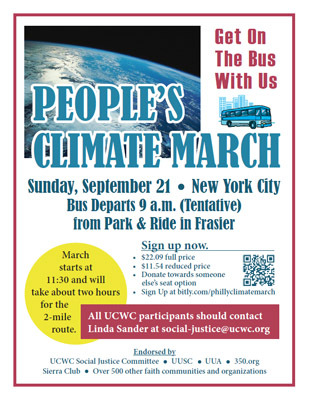 Keep abreast of all UCWC climate justice events. The Climate Justice list is a discussion list for sharing ways to advocate for policies that address climate change. Please limit your posts to relevant content. Commercial posts and posts that support specific political candidates are prohibited. Advocating policies, legislation, etc., is allowed and encouraged.